Dazzled by the ‘Spotlight’ on Rave Reviews Book Club! – Welcome to the World of Suzanne Burke. Beautiful site. I’m happy you’re receiving such excellent support from RRBC members. Soooz, you deserved the spotlight!! Congratulations, I am very happy for you. Yes, thank you RRBC, it is the greatest. Hiya, Karen! I had such a marvelous time on the tour, and all the ‘extra’ followers and sales were icing on the cake. Thanks so much for always being so wonderfully encouraging and supportive. 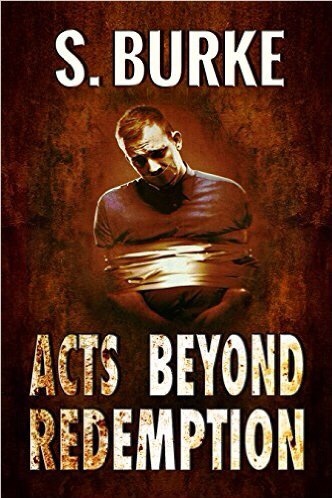 Suzanne Burke is a talented writer and supportive Indie author. She was “SPOTLIGHT” AUTHOR for Rave Reviews Book Club in February and this is her remarkable report! Even the Koala’s are smiling! Kudos, Suzanne – this is a great post! I’m so pleased for you! 😊 I haven’t stopped smiling since my internet was reconnected. Thanks again, John. What a beautiful post and such amazing stats, Soooz. It just goes to show the power of RRBC and the mentality that drives the club in supporting others. I am glad to have found your blog and to be counted among your new followers. I look forward to more of your posts, your books, and getting to know you better! Hi, Mae Clair! The power of RRBC is awesome! To be fortunate enough to meet other authors with ideals that inspire me to do better is now, thanks to RRBC, a daily experience. I’m so pleased you enjoyed the post, Mae Clair and count myself so lucky to have you as a new follower.🐨 Koala hugs. Oooh, Koala hugs. I like those 🙂 Hugs back at you! Wow, the statistics say it all! Congratulations on your new home…. Great post! I’m glad you ejoyed your time in the Spotlight. Rhani! Thanks for making the time on your own very busy Spotlight Tour schedule, to stop by and support me. I appreciate it so very much. Sooz, what can I say? This was an awesome-tastic blog post! Thank you for all your kind words. Every bit of support that was thrown your way, you deserved it for being the amazing member that you are within the club. You are a treasure, and we are so glad to count you among one of our favorite RRBC family members! We will be linking this post to the RRBC site under WHAT RRBC HAS DONE FOR ME! Hi, Nonnie! If I were capable of blushing I would be … lol. Seriously though, finding Rave Reviews Book Club and all it’s awesome members has colored my life with rainbows. I can’t recall a time when I have been happier as both an author and a person. My enforced isolation due to ill health has never seemed further away. Thank you so very much.